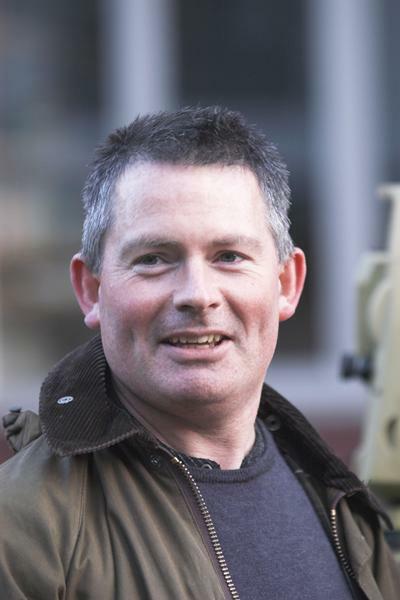 Mr Timothy Sly is a Senior Teaching Fellow in Archaeology at the University of Southampton. After completing a B.A. in Ancient History and Archaeology (University of Wales) I worked in commercial archaeology (York Archaeological Trust and Museum of London), before completing an M.Sc. in Archaeological Computing (University of Southampton). Before my appointment as a teaching fellow I worked at the University of Southampton as a research assistant, technician and experimental officer. My main skills are in archaeological computing and surveying and how these techniques can be applied to archaeological sites, landscapes and questions. I have been fortunate to work on a variety of projects as an archaeological surveyor in the UK, Europe (including fieldwork as part of the Roman Towns in the Tiber Valley project) and beyond. I am a co-director of the Arts and Humanities Research Council-funded Noviodunum Archaeological Project (NAP), along with Dr Kris Lockyear (University College London) and Dr Adrian Popescu (University of Cambridge). Noviodunum is situated on the river Danube in Romania, near Isaccea, Tulcea; it lies on the last easy crossing point of the river, before it starts to braid to form the Danube delta. This project involved looking at the Roman, Byzantine, Ottoman and later elements of the site, using a variety of different techniques: field survey, geophysics and excavation. The fieldwork element has been completed (2000 – 2010) and the project is currently being written up. My main research interest is in looking at medieval landscapes, with particular focus on medieval settlement and agriculture and what this tells us about population levels during the Middle Ages. I am involved with fieldwork looking at the medieval sites (both civil and ecclesiastical) of Hampshire and the Isle of Wight, as well as a project, undertaken by Professor Matthew Johnson (formerly of the University of Southampton, now of Northwestern University), looking at the medieval castles of Kent and East Sussex. Both these projects involve collaboration with English Heritage and the National Trust. This project is designed to look at the medieval landscape of the Isle of Wight, with particular focus on medieval settlement and agriculture and what this tells us about population levels on the island during the Middle Ages. Johnson, M., Sly, T., & Willis, C. (2017). Ightham: topographical and geophysical survey and 3D analysis of the landscape. In M. Johnson (Ed. ), Lived Experience in the Later Middle Ages: Studies of Bodiam and Other Elite Landscapes in South-Eastern England (pp. 129-142). Southampton, GB: The Highfield Press. Johnson, E. D., Johnson, M., & Sly, T. (2017). Scotney: an archaeological survey and map analysis. In M. Johnson (Ed. ), Lived Experience in the Later Middle Ages: Studies of Bodiam and Other Elite Landscapes in South-Eastern England (pp. 95-105). Southampton, GB: The Highfield Press. Keay, S., Millett, M., Hay, S. A., & Sly, T. (2009). Urban Field Survey at Ocriculum. In H. Patterson, & F. Coarelli (Eds. ), Mercator Placidissimus. The Tiber Valley in Antiquity. New Research in the Upper and Middle Valley. (pp. 797-809). Rome, IT: Quasar. Hay, S. A., Keay, S., Millett, M., & Sly, T. (2009). Urban field-survey at Ocriculum (Otricoli, Umbria). In F. Coarelli, & H. Patterson (Eds. ), Mercator Placidissimus. The Tiber Valley in Antiquity. New Research in the Upper and Middle Valley (pp. 797-809). Rome: Quasar.